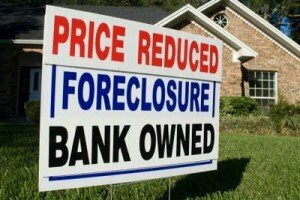 Obama was a pioneering contributor to the national subprime real estate bubble, and roughly half of the 186 African-American clients in his landmark 1995 mortgage discrimination lawsuit against Citibank have since gone bankrupt or received foreclosure notices. Obama’s lawsuit was one element of a national  campaign led by Chicago’s progressive groups, …. Obama has continued to intensify regulatory pressure on banks to provide more risky loans to African-Americans and Latinos. He has used lawsuits to fund his allies. And taxpayers are now unwittingly contributing to a re-inflation of housing prices. Obama claimed $23,000 in billable hours for his role in the lawsuit. That role was limited, partly because he was networking his way toward his 1996 election to the Illinois Senate. But he stayed with the firm until 2004, and it was his lawsuit. Obama also won massive campaign donations from the mortgage industry, including at least $126,349 between 1989 and 2004. He sought public credit for the lawsuit: His employer submitted a docket to the court that listed him as an attorney for the three named plaintiffs in the case. The docket bound Obama’s name to the lawsuit — and to the 186 clients who would soon follow. 15 million homeowners ‘under water’ – flood of pending foreclosures? Has the SEC Charged the Right People with Securities Fraud? Why are Fannie and Freddie left out of finance reform? And now they are in charge of everything! We are sure to go broke. The Housing Boom and Bust by Thomas Sowell» A must read to all of us who are interested in the housing boom and bust, which led to the current financial crisis. The history of the housing crisis and why we MUST throw the bums out! Why is Obama Administration Hiding $5 Trillion More Debt with Accounting Gimmicks That Would Make Enron ‘Blush,’?